Since it’s official launch at the Photokina Trade Show in Cologne in September 2014, the Cambo Actus range has garnered a lot of attention. And we believe, rightfully so. You can mount your Sony, Canon, Nikon, Fuji, Micro 4/3 etc… The list goes on! The ability to use a variety of lenses; from Hasselblad V to Mamiya, Schneider to Rodenstock. They attach with a new “sliding lock” design. Magnetic bellows, paired with a variety of lengths of rail for different applications make the camera quick and easy to assemble. 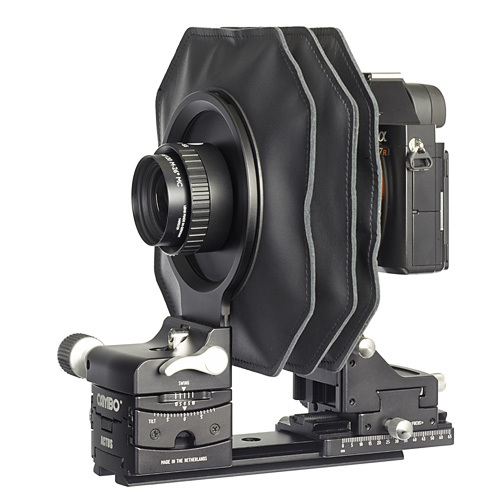 When used with a high pixel count full frame DSLR the additional features of the shift and tilt/swing movements on the Cambo Actus can make all the difference to the creative options available to you. The full specifications of the Cambo Actus can be found on our website, but the great thing about this camera is the ability to turn just about any lens into a tilt/shift lens. At Teamwork Digital we have the Cambo Actus and the Cambo Actus DB available to demo in our showroom with a selection of lens panels and camera mounts. Contact us to arrange your demo.